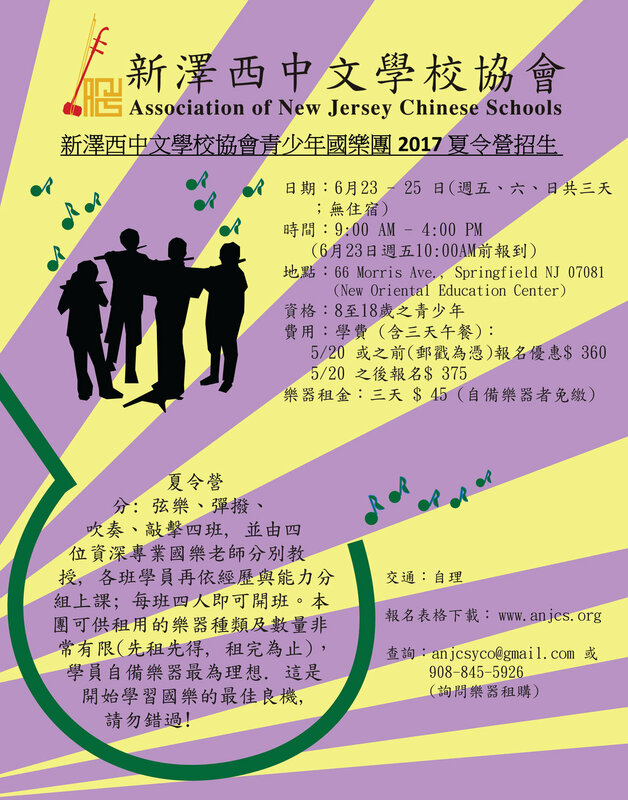 Registration is available at http://www.anjcs.org. On Sunday 5/28, one fun event called Passport To Taiwan will be taking place at Union Square park, NYC. It's a once of year event and the purpose is to promote Taiwan and to attract more people visiting Taiwan:) On that day, there will be lots of performances and many good Taiwanese foods selling! Our school volunteers will be helping at the event this year. Don't miss out! Please see attached flyer. 4/22, Holy Name Medical Center is coming to our school to give FREE physical check up starting from 10am until 12pm! 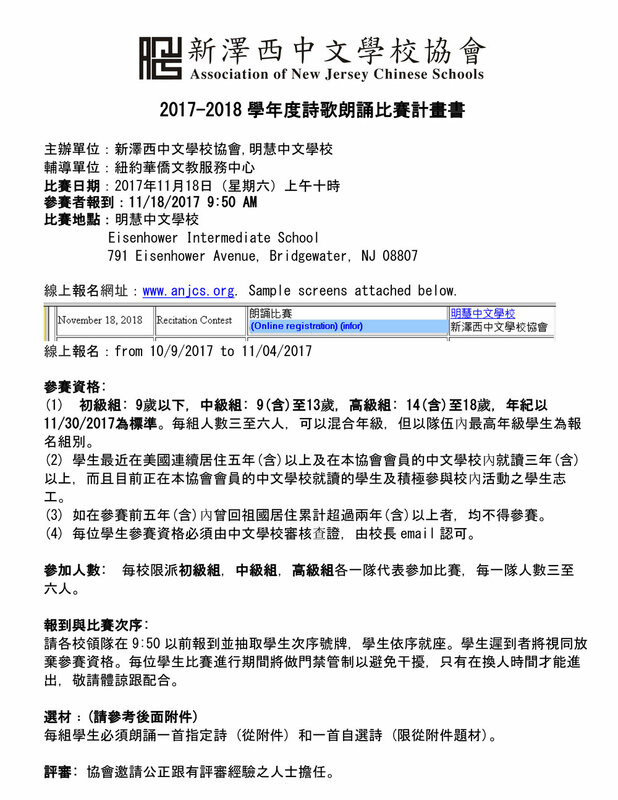 This year, "Preferred Appreciation Program" offered by Shen Yun Promotions International is an opportunity for the 'early sales' periods for a limited number of companies/organizations to help spread the word through their networks about Shen Yun 2017. Changyuan Wang, the renowned Chinese Zither (GuZheng) Master will hold a concert, Making an Era – The Song of Zheng, at Alice Tully Hall at Lincoln Center﹐ N.Y. 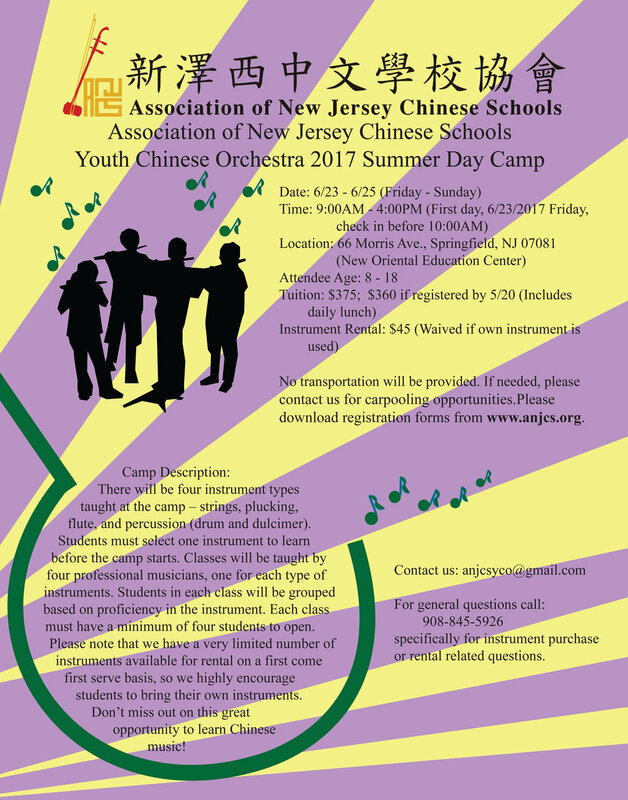 Her student, Elizabeth Chao, will perform GuZheng for one solo piece and three group pieces in the concert. Sincerely invite you, your family, and friends to enjoy the beautiful, unique, phenomenal and marvelous concert! $50.00 / person (including gun with hopper, air tank, goggle system, pods, jumpsuit, tac vest, chest protector, 200 paintballs, lunch pizza and water). This activity is whole day private outing package which means we will play only with our own groups, no outsiders combined! The games will be played on different ground settings. End of the day will be students vs. school staff and/or parents! 創下台灣電影紀錄的魏德聖導演又有新作品了！這個輕鬆小品《52 Hz, I Love You》是導演魏德聖繼《海角七號》後睽違9年的音樂愛情電影， 節奏明快貼近生活的預言式敘事方式，加上生活化的有趣對白、 細膩的畫面、個性鮮明角色與朗朗上口的音樂旋律， 深深吸引觀眾融入在電影中，重新為自己找回「愛」的勇氣與美好。 魏德聖導演2017年最新作品，將在海外率先播放， 之後再回到亞洲於新年期間在院線上映。請在紐約的大家， 千萬不要錯過! 僅此兩場，票剩不多，趕快來預訂你的感動哦! Dear MJCS families, School is started. Are you ready to have some fun?! Each family please brings some food, or drink to share. Any extra paper plates, cups or charcoals will be more than welcome :) School will provide necessary essentials such as burgers, hot dogs, sausages and juicy bags, etc. If you like to join, please sign up today with our Vice Principal, Jon Lee. Or, please e-mail him at: jonlee@comcast.net including your name, how many adults and children attending. Please either pay the fee this Saturday or please bring the fee to Jon at the site on 9/18. Don’t miss out the fun and looking forward to seeing you there!! 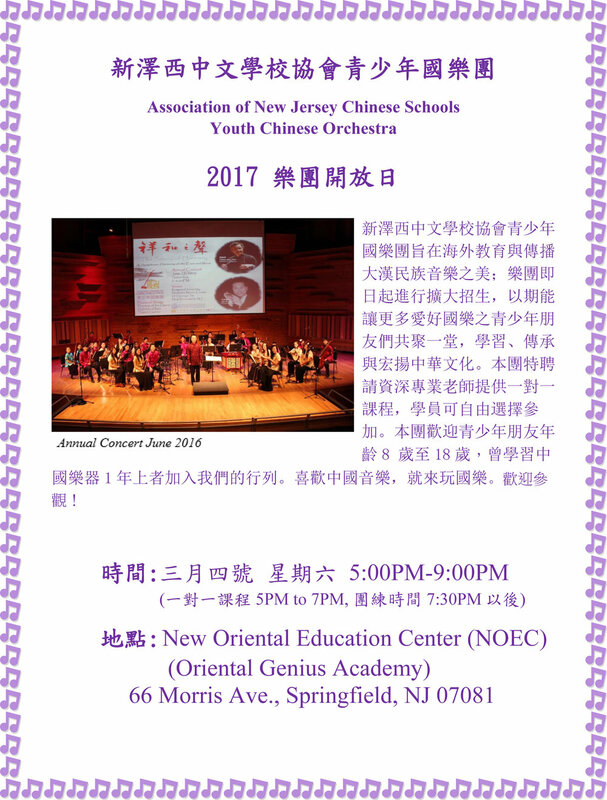 Pianist 姚若華 violinist 游文逸 and Christina Chen 陳逸庭 as cellist will perform in the Mid-Autumn concert on September 24, 2016 at 2:30PM at Lincroft Unitarian Universalist Congregation of Monmouth County. 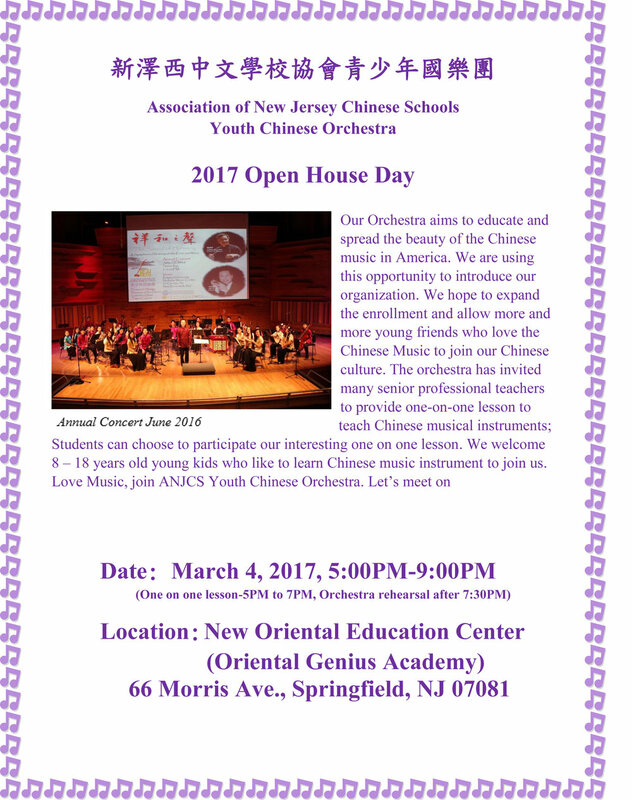 Welcome to invite your friends to join us to enjoy a Saturday afternoon classic music and Taiwanese folk songs. Ticket price is $20 per ticket, and $15 each for 2 or more tickets. Please call（732）858-1525 or（732）763-4587 to order your ticket.